CAPE TOWN, South Africa, Apr 4 2016 (IPS) - When Africa’s oldest protected marine area, Tsitsikamma — the largest in the world, incorporating 80 km of rocky coastline, bustling with marine life, much of it endangered — was opened as a pilot for public fishing on December 15, 2015, there was a big outcry. Tsitsikamma is declared to help restore South Africa’s heavily exploited fish stocks. A group of conservation activists, the Friends of the Tsitsikamma Association, say they have not been properly consulted. Marine scientists feel the move by the Department of Environmental Affairs (DEA) would “open up the heart” of a protected area to exploitation. Community fisher folk started threatening tourist safety if fishing rights are not granted in the hope the DEA would open up parts of the Tsitsikamma to permit-quota fishing. Edna Molewa, minister of the DEA, had issued regulations on the rezoning of Tsitsikamma Marine Protected Area in November 2015 unbanning restrictions for residents within a 8 km radius to fish. The decision was reversed with a court order in January this year. The protests and court decision have highlighted need for proper consultation on the often contentious issue of balancing. As both parties seek an amicable solution, Molewa published draft notices and regulations in the government gazette to declare a network of 22 new proposed marine protected areas (MPAs) on February 9. The proposed areas are part of the Operation Phakisa Initiative, a programme launched in October 2014, to maximise the enormous economic potential of oceans while preserving them. It has become a battle to balance economic and social needs. Molewa said the declaration aims to create approximately 70 000 square kms of marine protected areas, bringing our ocean protection within the South African Exclusive Economic Zone to more than 5 per cent. According to Molewa, the new MPAs will secure protection of marine habitats like reefs, mangroves and coastal wetlands which are required to help protect coastal communities from the results of storm surges, rising sea-levels and extreme weather. “Offshore (further area into the ocean), these MPAs will protect vulnerable habitats and secure spawning grounds for various marine species, therefore helping to sustain fisheries and ensure long-term benefits important to food and job security,” she elaborated. The DEA has given the public 90 days to comment on the proposed areas. According to a South African National Biodiversity Institute (SANBI) report, sixty-four of 136 (47 per cent) marine and coastal habitat types are threatened, with 17 per cent of all critically endangered. Fifty-four, that is 40 per cent marine and coastal habitat types, are not represented at all in South Africa’s MPA network. Most of these unprotected habitat types are offshore, reflecting the fact that almost all of South Africa’s existing MPAs extend only a short distance from the shore. Only 9 per cent of coastal and inshore habitat types are well protected. Most coastal habitat types are moderately protected, reflecting the fact that in many MPAs there is insufficient protection from fishing. “There is poor awareness of the role of MPAs in biodiversity conservation, fisheries management, climate change adaptation and delivery of socio-economic benefits,” the report noted. Fishing is a key driver of change in marine and coastal ecosystems. “Key challenges include overexploited resources, substantial and unmanaged bycatch in some sectors, incidental seabird mortalities, habitat damage, concerns around food supply for other species and other ecosystem impacts of fishing,” the report said. Poaching continues to threaten marine biodiversity, resource sustainability and the livelihoods of legitimate fishers. Theresa Frantz, head of environmental programmes, World Wildlife Foundation South Africa (WWF-SA) supported the gazetting of the new MPAs as this was an important tool protecting fish areas. “It’s an important tool that allows fish to reproduce,” Frantz said adding that fish like squid, at certain times of the year, congregate in a particular area to breed and grow. She said such time area closures were allowed under the South African law. “Each area has a reason for protection, it could be the fish in that area is unique or the bottom of that ocean has unique features that you won’t find somewhere therefore, biodiversity has to be protected,” Frantz told IPS. The key is you protect different areas, she said. 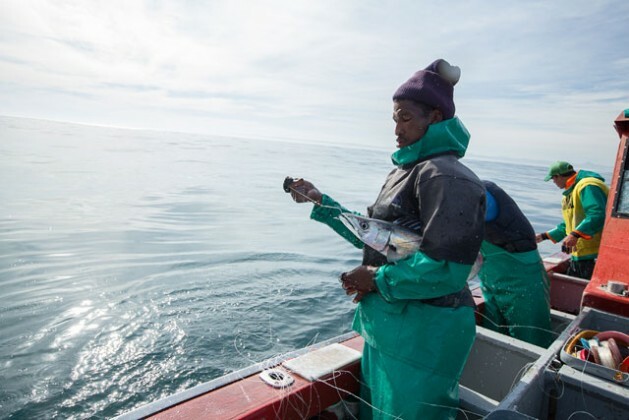 Citing the case of Tsitsikamma, where fisher folk could be affected by new regulations, she said the issue was made delicate by the fact that, the area had proved useful in rebuilding some line fish stocks in South Africa. Frantz said when Tsitsikamma was declared there was then no public participation as there is now. “There was no inclusive consultative process before declaring, the gazetting of areas would allow that publication protection,” she said. Yet another expert, WWF’s Samantha Petersen who developed and managed the organisation’s Responsible Fisheries Programme since its inception in February 2007, told IPS that South Africa consumes 312 million tons of sea food annually, hundreds of people were employed by the marine industry, but as the population grows the capacity of oceans cannot change to meet the demands of our society. “Once the special species from the oceans are gone we cannot recreate them,” she said.